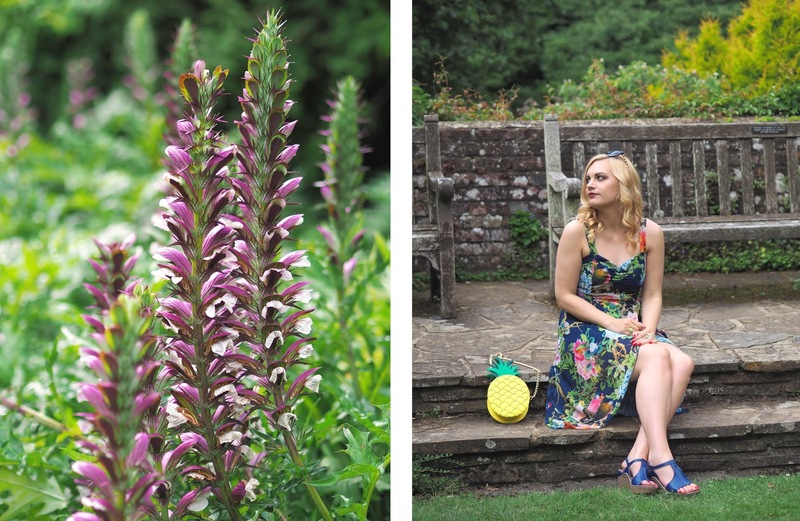 Today I wanted to share with you some easy ways to inject a pop of colour into your summer wardrobe! As you may know having chronic health & joint problems means I struggle with finding shoes that are comfortable, supportive but also stylish. Not an easy task! I discovered Moshulu in Horsham where they have a store it caught my eye straight away as it's bursting with bright rainbow colours!! 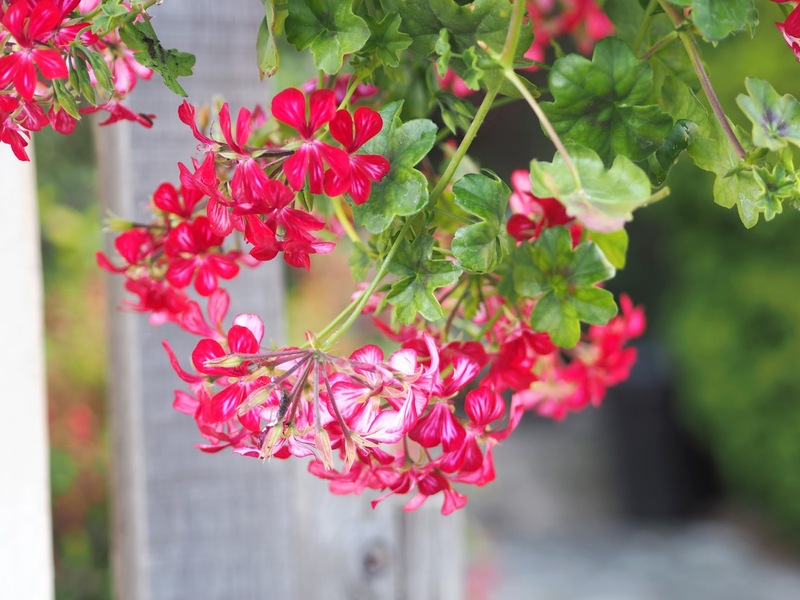 Everything they create is all about comfort and colour. I'm particularly fond of their wedges as they're nicely padded and spongy. You may have seen a tan pair that I wear a lot feature on my Instagram feed. I do find when it comes to sandals I need straps around my ankles for support and handily most of Moshulu's have this incorporated into their designs. So when Moshulu challenged me to style a pair of there colourful shoes 5 ways I was excited to give it a go! I chose a pair of their Peach Melba Wedges in the shade Blackcurrent*, they're a gorgeous bright colour more blue than purple I'd say and I could see would go with so many outfits. I already have a pair of these in red so I knew they were comfortable enough for me and also that I needed to go up half a size from a size 6 to a 6.5 as this particular style come up slightly smaller than the others. I'm hoping from the very different ways I've styled them showcases just how versatile a colourful pair of shoes can be in your wardrobe! Some other designs that I'm liking from their summer range at the moment include these Printed Canvas Shoes & Wasabi Bright Sandals - I own a pistachio green pair of these green from last year! There is a sale on right now so take advantage and see what you can pick up, make sure to let me know! 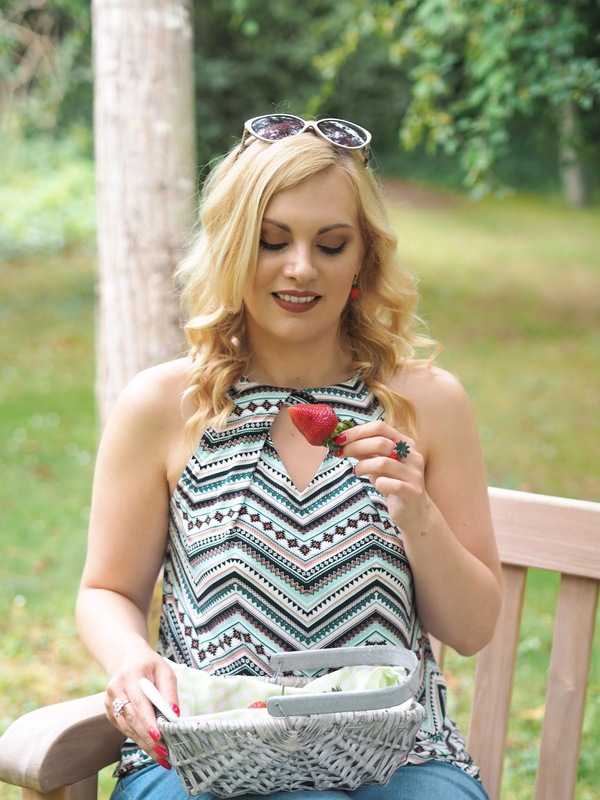 Picnic in the Park | I think I've found my perfect casual outfit for those inevitable cooler summer days. I've never really invested in the ripped jean trend before as I'm quite picky when it comes to my jeans and could never find any I a) liked and b) fitted well. However these are from Oasis, they're high waisted, fit like a glove and aren't overly ripped either (tick, tick, tick!). I paired it with this gorgeous halter top which I really like the print and neck detailing on. I took my little basket of (giant!) 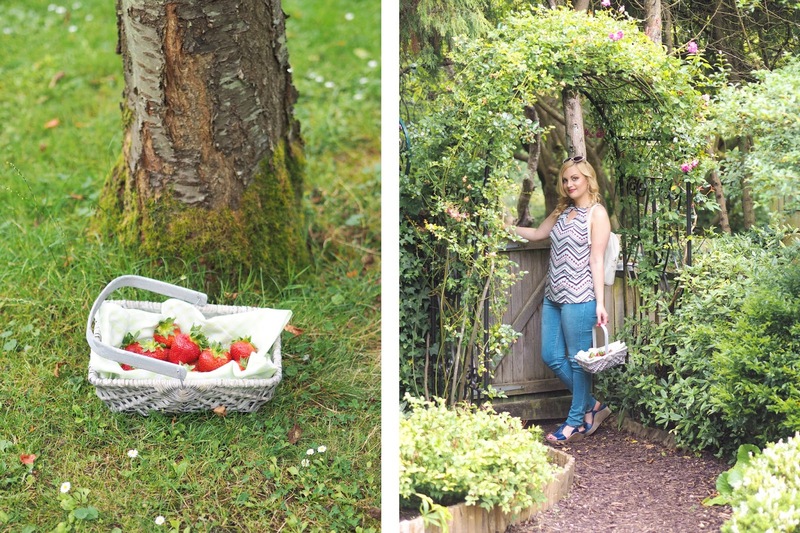 strawberries to my favourite local gardens for a picnic. 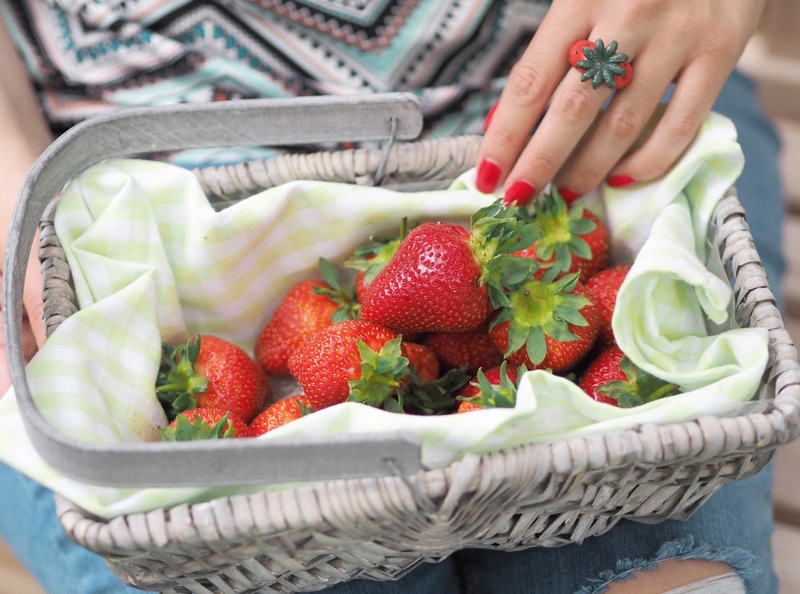 To match I wore my new strawberry earrings and ring from AndMary - aren't they adorable?! Check them out if you're after some unique jewellery. Outfit Details: Ripped Jeans | Halter Top | Sunglasses | Backpack | Strawberry Ring & Earrings | Wedges. Beachwear | These wedges are so comfortable that you could even wear them to the beach. I'd maybe save them for a nice beach holiday abroad rather than clambering around on the pebbles in the UK though! 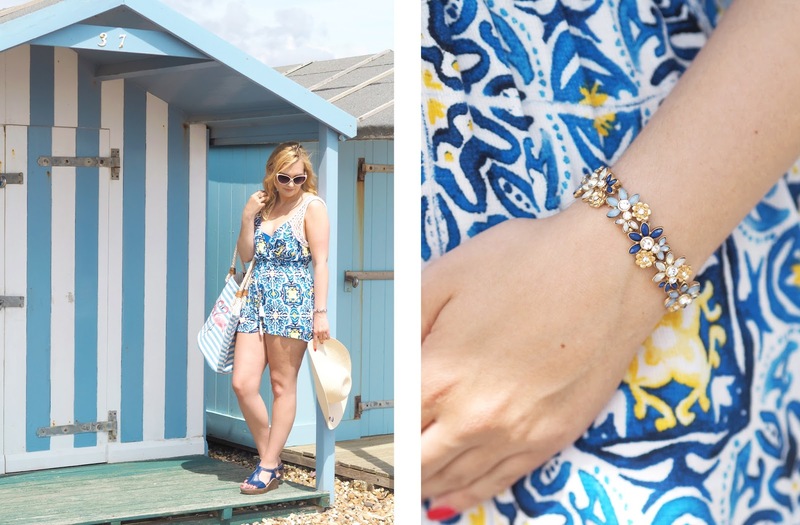 I think they paired really well with my beachwear look, this tile print playsuit & cobalt bikini are from Next. 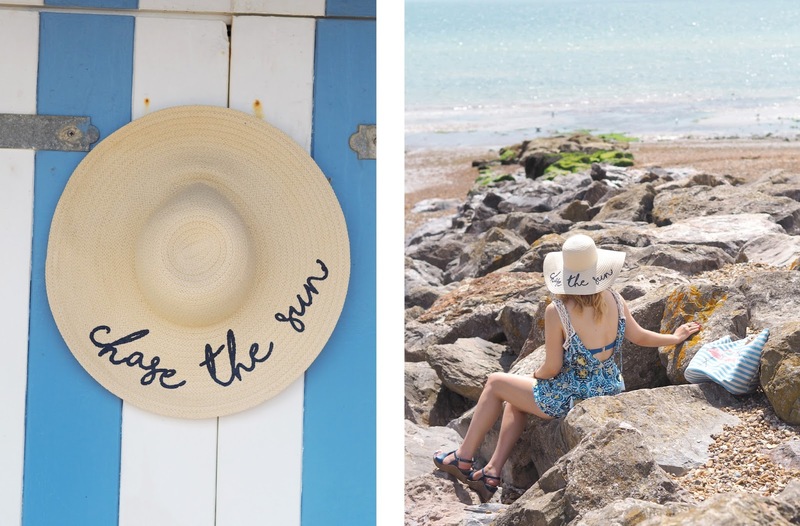 I'm really loving these slogan straw hats at the moment they so cute for holidays and this 'Chase The Sun' one from Asos completely sums up my mission in life! I am lucky even to live by the sea and couldn't resist snapping some pictures by this blue and white beach hut. I got very excited that it matched my outfit and is just so instagramable! Outfit Details: Playsuit | Bikini | 'Chase the Sun' Straw Hat | Bracelet | Flamingo Bag | Ring | Sunglasses | Wedges. 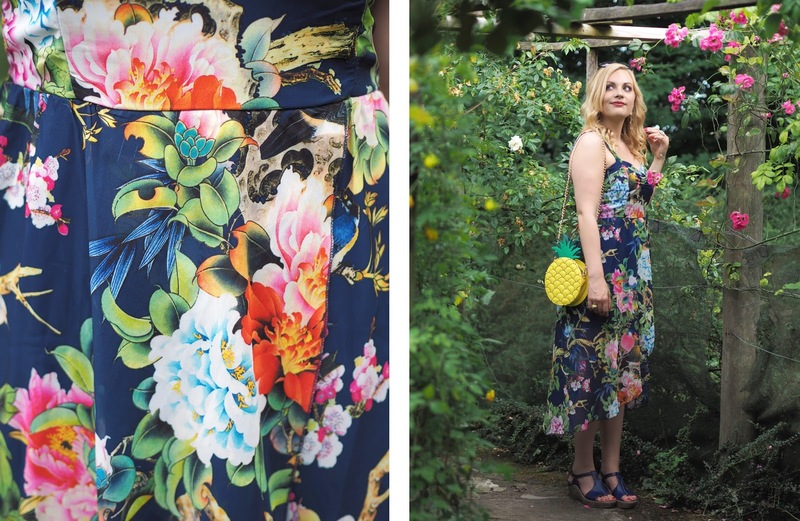 Occasionwear | I wanted to show that you can even pair brightly colour shoes with and occasion dress, you don't always have to stick to nudes & metallics! 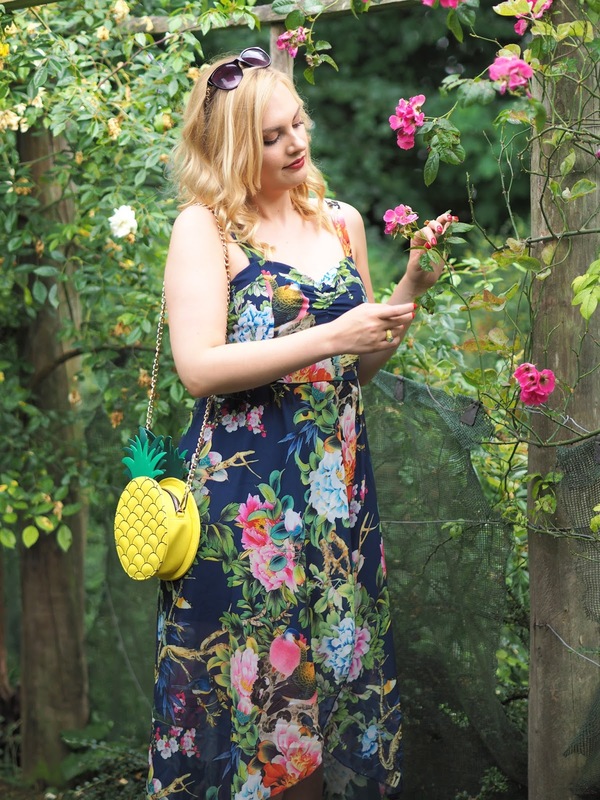 This little dress was a great find from Yumi and the watercolour floral print is just stunning. I chose it because it features flowers that are the exact blackcurrant shade of the shoes in but I think you could also pick out the pink and the aqua tones as well and wear shoes to match those! 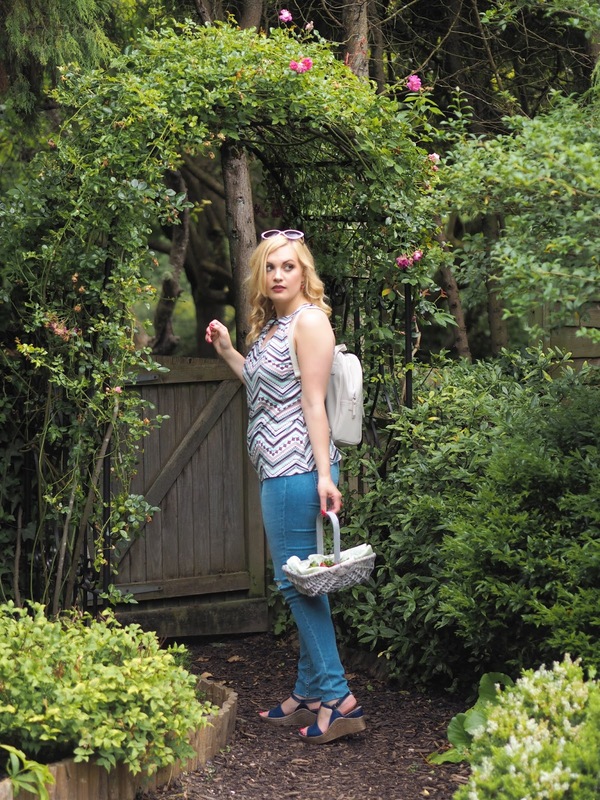 This outfit could take you anywhere from a wedding, christening, summer party or a day at the races. 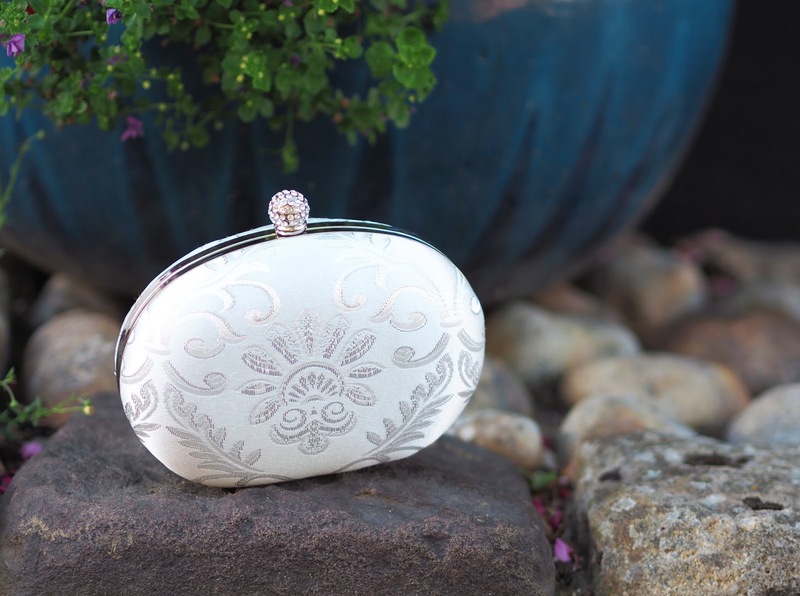 I paired it with this lovely white jacquard clutch bag from Quiz Clothing along with my favourite rose gold jewellery from Lily & Rose that I always save for occasionwear! Outfit Details: Dress (similar) | Clutch Bag | Earrings | Bracelet | Ring | Anklet | Wedges. 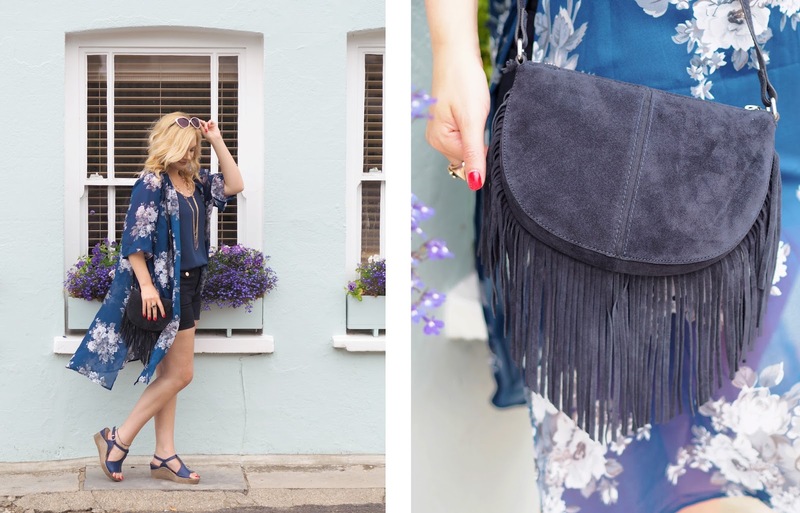 Festival Vibes | I think this next outfit is the perfect look for summer festivals or a casual day out. This gorgeous floral printed kimono is from Mela London, a new brand I discovered recently. I really love the long length which flows beautifully in the wind and if it gets cold there is enough fabric to wrap around yourself to keep cozy! It also elegantly covers the backs of your legs if you're a bit conscious of those when you're wearing shorts. I paired it with a suede fringe bag and layered necklace for extra boho vibes. Outfit Details: Kimono | Shorts (similar) | Cami Top | Sunglasses | Fringe Bag | Necklace (similar) | Rings | Anklet | Wedges. 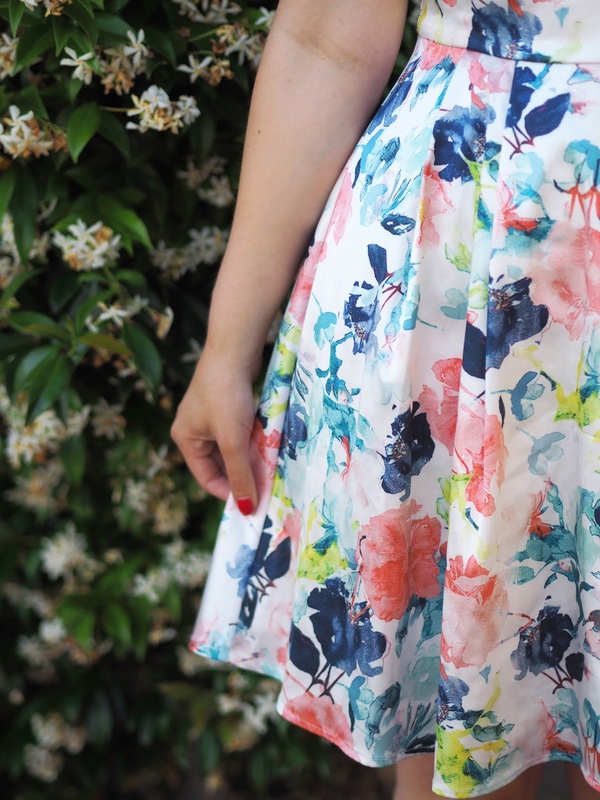 Summer Nights | How beautiful is the print on this dress?! I just loved how bright and tropical it looked and reminded me of holidays. The colour of my shoes matches really well with the base colour in the dress I think. I'm really into the high-low hem trend at the moment too, where it's shorter at the front and dips down lower at the back. 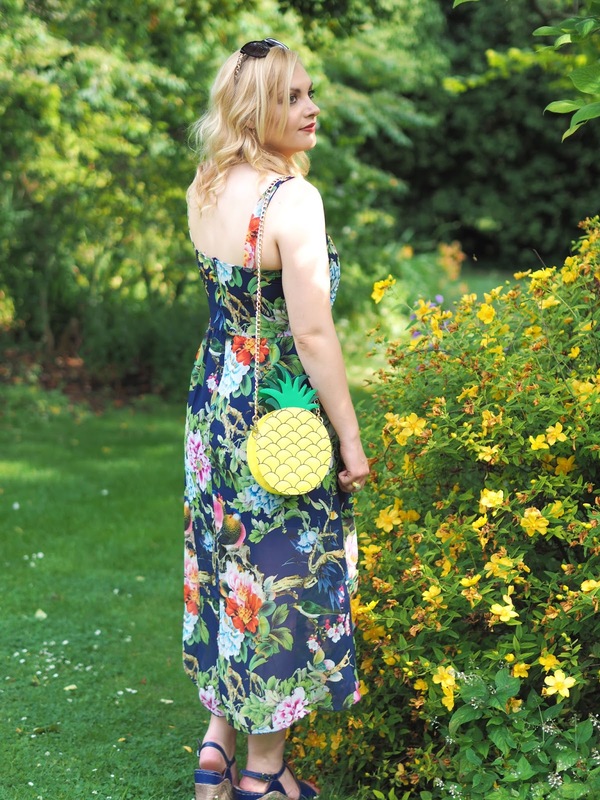 I think it's really elegant, flattering and ideal for hot summer evenings when you want to look a bit glam! 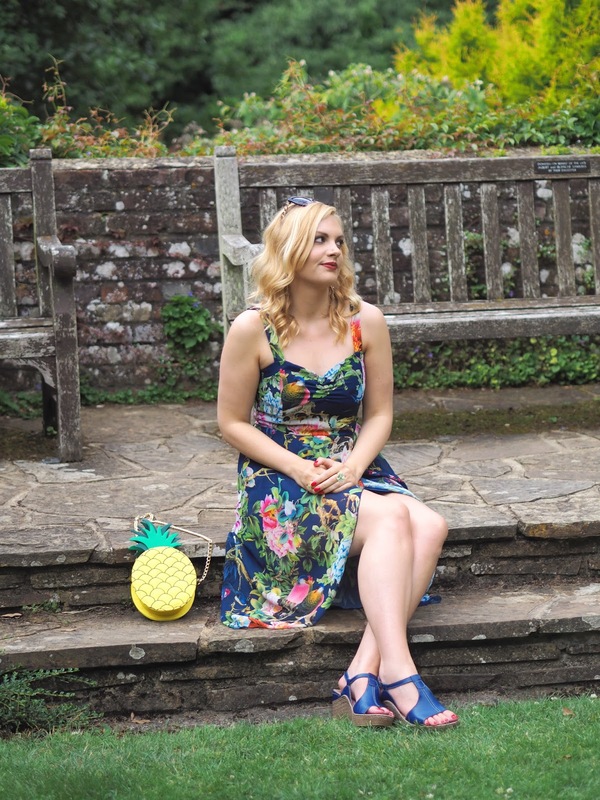 The dress is another purchase from Mela London via Next and at only £28 (I know I couldn't believe it!) I think this brand is well worth checking out if you're looking for a few new pieces for your holiday that aren't too expensive. 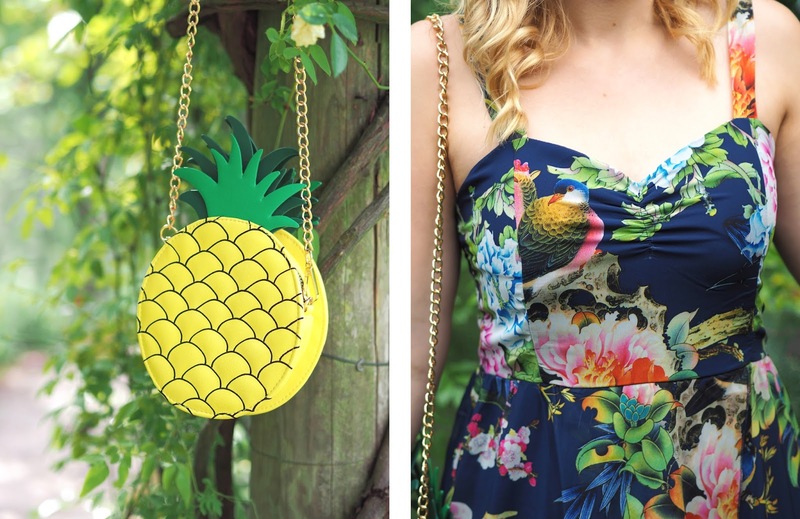 Outfit Details: Printed Dress | Pineapple Bag (similar) | Sunglasses | Rings | Wedges. For your chance to WIN a pair of Moshulu Shoes of your choice simply fill in the competition form below to gain entries! The top three are mandatory requirements and the other options you'll gain bonus entry points for. This giveaway closes on: Tuesday 25th of July 2017 at midnight. Entries will be verified and then the winner will be selected on the 26th of July and contacted via email and asked to choose a pair of shoes from the Summer Collection. If however the winner does not reply within 3 days it will be considered unclaimed and a new winner will be selected. This is a UK ONLY Giveaway. Good luck!! 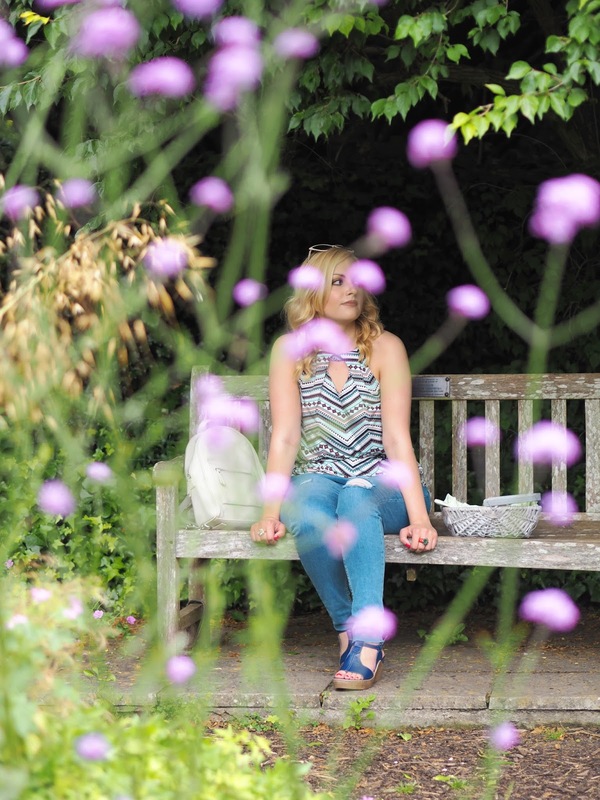 Make sure you sign up to Moshulu's Newsletter for exclusive news, previews & special offers! Simply scroll down to the bottom right corner of the main page and enter your email address in the sign up box. *This post contains PR Samples and is in collaboration with Moshulu Shoes however all opinions are my own. Let me know which of the outfits I've styled is your favourite and why? I really love the festival vibes outfit. The shoes look great too! Love the look of these wedges. 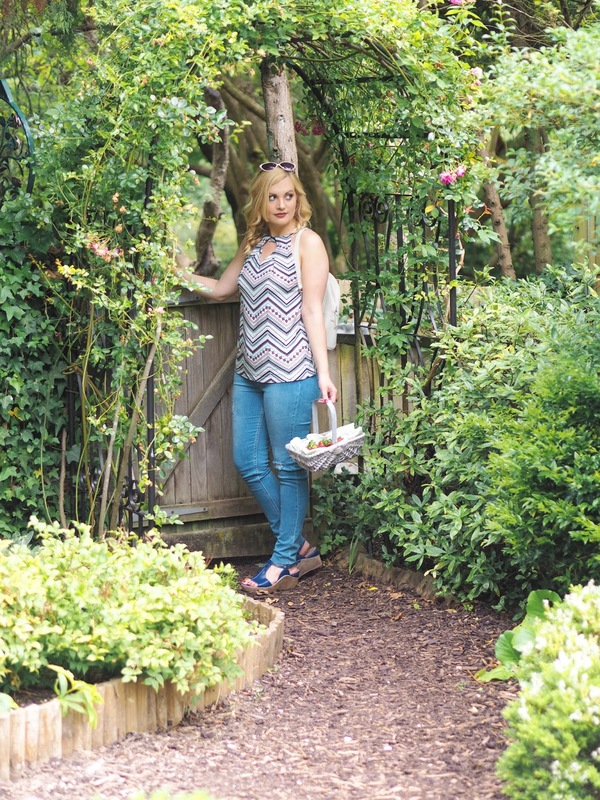 Fabulous post, and for me I love both the shorts outfits, because they go so well with the wedges and look fab!